Happy 2016 everyone!!! At the end/beginning of each year, I like to look back at what transpired in order to help set goals and make improvements for the coming year. On the blog front, I shared my Top 10 Blog Posts of 2015. It was enlightening to see what interested you guys most! 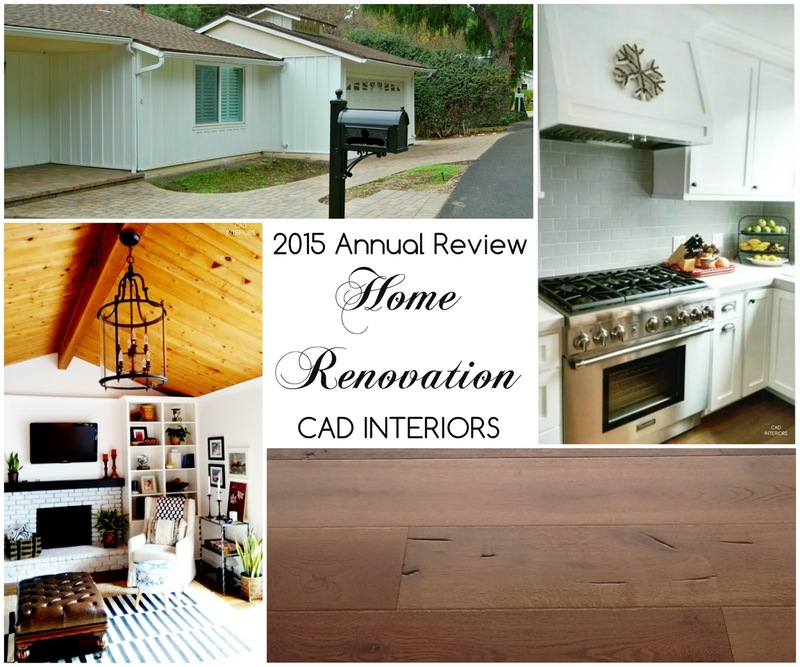 Today, I'm sharing a year-end review on how we did with our 2015 home renovation goals. We made lots of progress since the mid-year check-up! For those of you who are new around here, we are renovating our home, a 60-year old mostly original rambler we purchased in 2013. Click here for more on our home renovation. #2 Family Room Renovation: There are a few more improvements that will occur in this room, but as of now, the remodel is DONE! 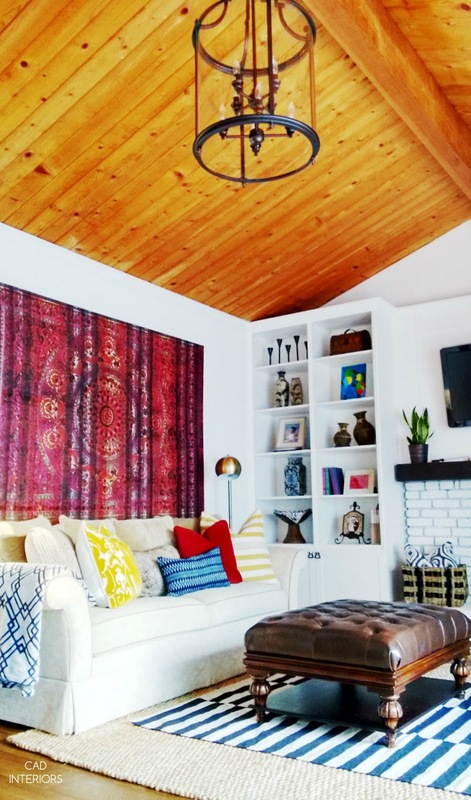 Catch up on all the related remodeling and decorating details here. #3 New Hardwood Flooring: This was one of my favorite improvements of the year. So grateful we were able to get this DONE! The installation of the new hardwood was one of the most impactful and practical improvements we made. The common areas in our home used to have a combination of hardwood (with some missing sections), linoleum, and carpet - all in bad shape. 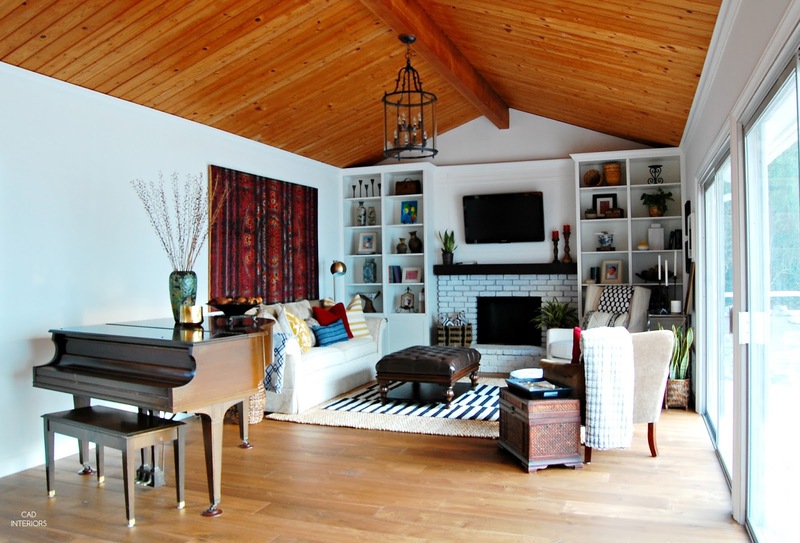 The new European oak wood floors that we installed throughout the common areas really unified and transformed our home. What a difference! #4 Baseboard Installation: When we ripped out all the original, dainty baseboards during the initial renovation (before we moved in), we went baseboard-less for 2+ years until we did the floors. With the new floors now done, my handy hubby installed all new tall baseboards throughout the house. Their substantial size beautifully caps off the new hardwood! In addition to baseboards, my hubby also replaced all the old trim around the sliders and doors with thicker moldings. #1 New, fully-functional kitchen: We may have failed on the landscaping front, but we made up for it with a completely new, fully-functional kitchen!!! We made the old, dysfunctional kitchen work for two years while we saved and planned out the new kitchen. We decided to finally proceed with the kitchen renovation since it made sense to do the demolition and construction before installing new floors. I can't tell you how our new kitchen has vastly improved and transformed our home! Stay tuned for the full reveal. 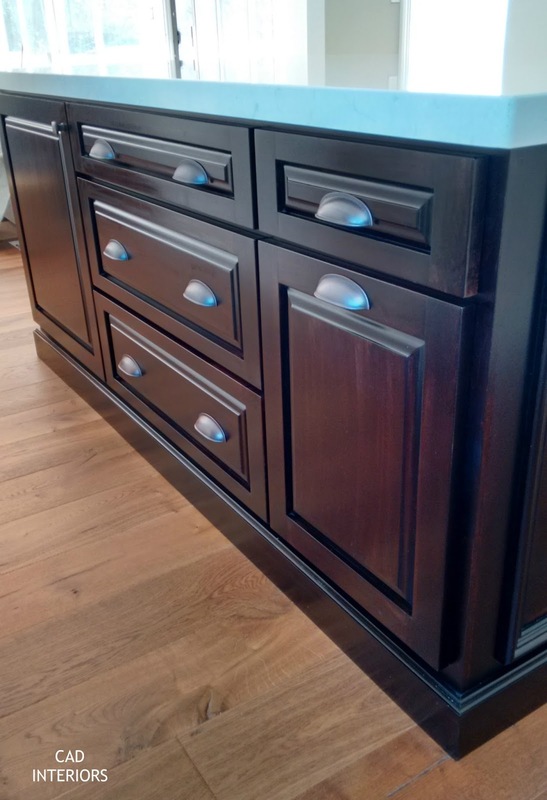 The new kitchen island is full of storage. You can also see a close-up of the new hardwood floors in the kitchen. #2 Interior Doors: Well, we did get solid core (not hollow) bathroom and laundry doors installed, but that's about it. We also invested in shutters to cover the windows in the bathrooms and front bedrooms. Bedroom doors are not a high priority right now, and will eventually get done. #3 New Sliding Doors: We knew this was going to be a stretch in 2015. Replacing all the single-paned sliding doors will be a major investment, considering we have FIVE sets to replace. I'll be sharing more about this as the project nears. In summary, I think we did a good job of accomplishing our 2015 home renovation goals with the exception of the front landscaping! Slowly but surely, we are bringing out the potential we initially saw in this house. I realize that the renovation process is not for the weary or lighthearted, but if you have the vision, creativity, dedication, and patience, the "sweat equity" can be worth the investment - especially if it lands you in a highly desirable area! Stay tuned to find out what home renovation projects we have in store for 2016!